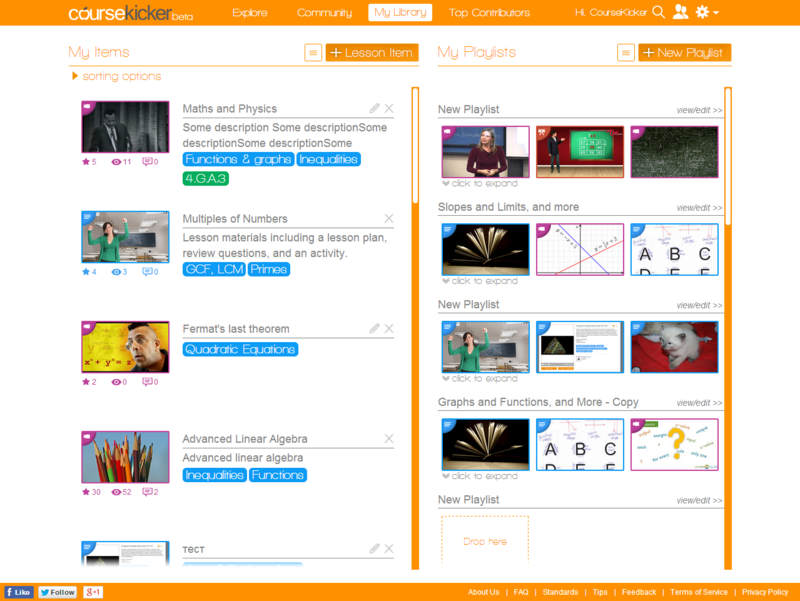 CourseKicker integrates lesson planning, teaching collaboration and professional development in one free and intuitive app. 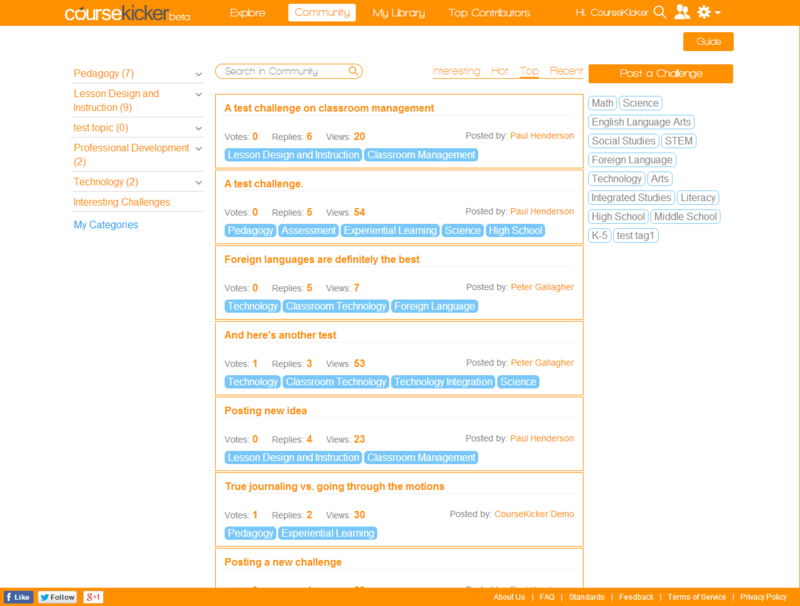 Astea developed the pilot version of CourseKicker on behalf of the CourseKicker Inc. company. 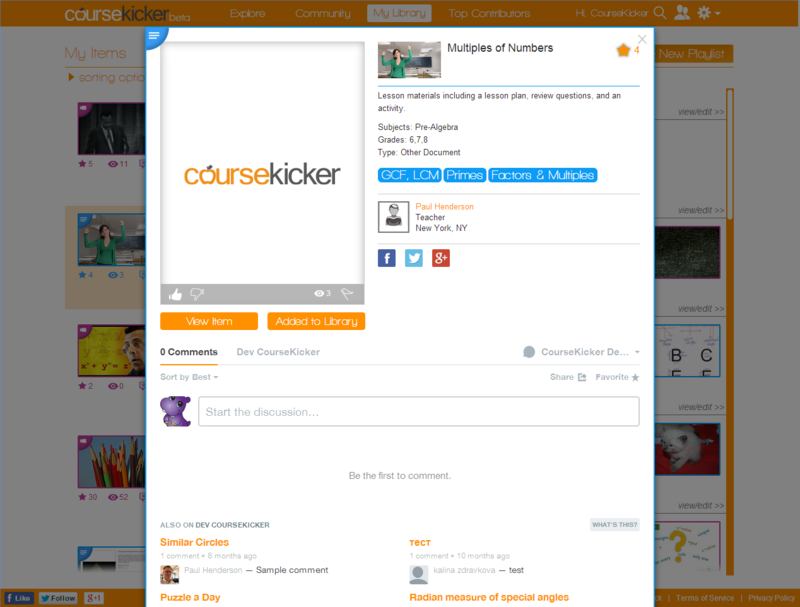 CourseKicker is the first online collaboration network specifically for educators. 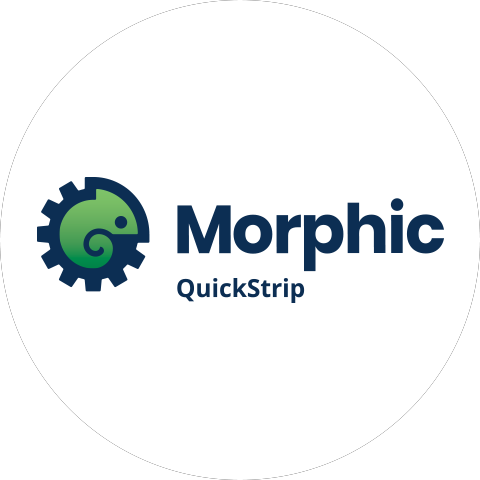 CourseKicker’s simple yet modern interface allows for quick lesson planning and organization, easy interaction with other users, and rapid sharing. 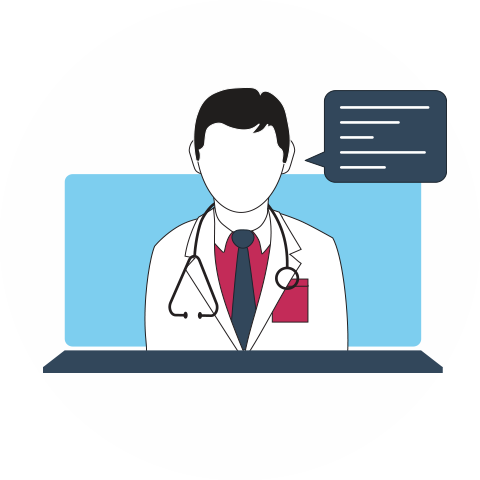 Lessons uploaded on the CourseKicker website can be reviewed, rated, and commented on by the members of the community. 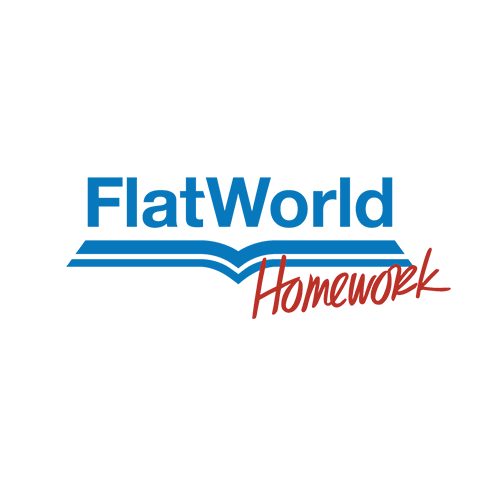 The site has a useful filtering panel, as well as a built-in search engine, which makes the lesson search fast and effective. In addition to that, all lessons can be sorted by popularity or upload date. CourseKicker’s lesson recommendation engine saves teachers time by guiding them to the best lesson for just about any topic, fast. 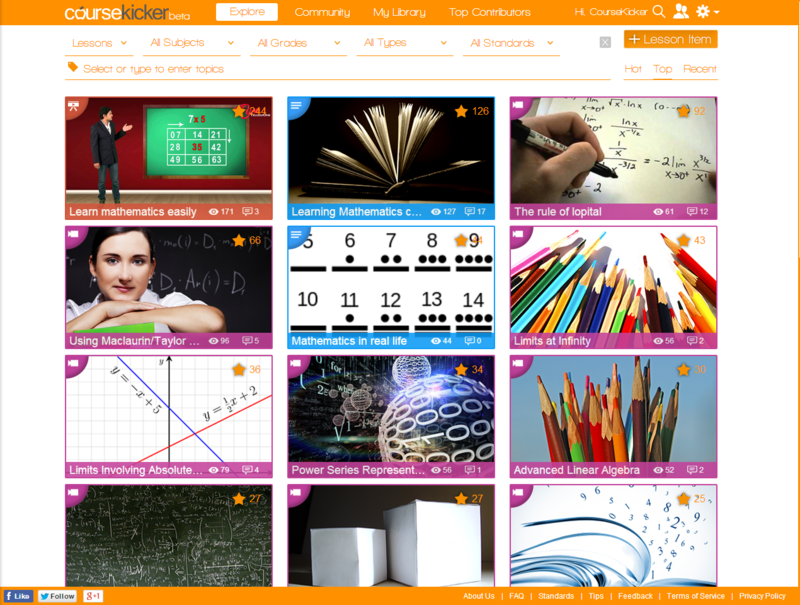 CourseKicker became an online collaboration platform for teachers. With CourseKicker, teachers connect to collaborate and share best practices. 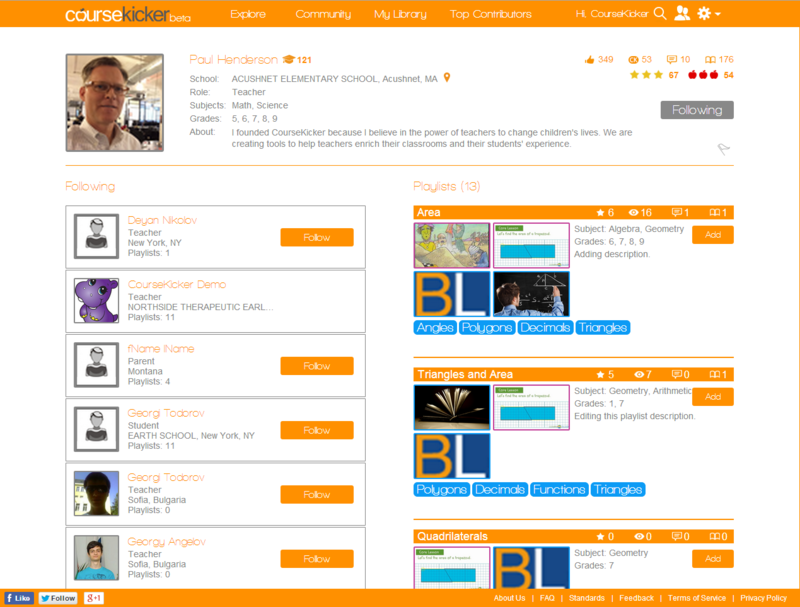 As of June 2015, CourseKicker has been used by over 5,000 teachers in over 100 schools.